There are lots of businesses that can fetch you substantial returns and of course, the car wash happens to be one of these businesses provided you’re doing it right. 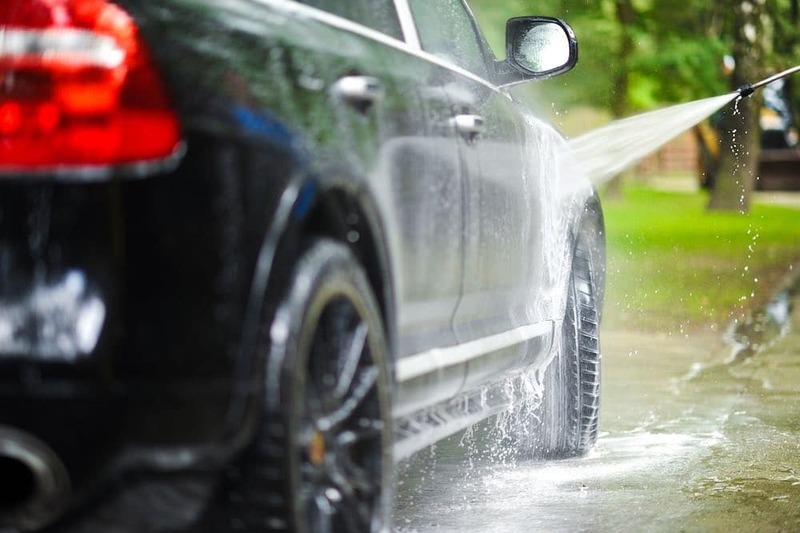 Chances are that many people won’t have the time to wash their cars by themselves and so, they may have to take them to nearby car washes for professional cleansing. Once you have secured sufficient start-up funds and researched accurately about your local car wash industry, you can open your own car wash business. However, if you must make a success with this business, endeavor to choose a suitable location and adopt effective marketing strategies. Fortunately, the purpose of this article is to draw your attention to how you can start a car wash business and the marketing tips you need to rake in dozens of clients for the business. Perhaps there are car washes in your location and before you start up your own car wash business, it’s essential that you carry out a thorough research on your local car wash industry. This will not only help you decide how competitive your car wash industry is but also make it easy for you to find out the latest trends in the business of car wash.
By carrying out this research, you’re very likely to find out the type of car wash business people demand most in your neighborhood. While some car washes specialize majorly in automatic waterless, others render full detailing, self-service and lots more. You will also discover the kinds of supplies and equipment you need to get your business underway and run it efficiently. Also within your research, there should be an aspect that focuses on the competition in the area you wish to establish your car wash business. Check the car washes in this location and endeavor to figure out how they operate –probably by knowing the marketing strategies they adopt, the prices they charge and the services they render. Just like many other businesses, start-up capital is required to get a car wash business off the ground. After estimating your start-up expenses, the next thing is to secure adequate funds for covering these expenses. There are various ways you can secure start-up capital. Provided you don’t have sufficient money of your own, you have the option of getting business aid from private investors or borrowing from financial institutions. However, this may require that you meet certain strict conditions which some small business starters often fail to meet. If you’ll be approaching private investors, you must be able to provide a detailed and professional business plan that should convince them about the feasibility –as well as the profit potential –of your proposed business. The location you choose for your car wash business is so important that it can impact either positively or negatively on business success. If you really want your proposed car wash to yield excellent results, one of the things you should pay attention to is the selection of location. A metropolitan area with high traffic concentration can be suitable for the establishment of a car wash.
Advisably, the spot you’re choosing within this area should be close to a chain store, supermarket or other shopping center and should be seen easily by motor drivers. More importantly, do well to choose a spacious spot so that your car wash can accommodate a number of cars at a time. A license or permit is needed to ensure you’re authorized to operate a car wash business. There are several license offices out there that provide accurate information about the prerequisites for obtaining a business permit or license. Meanwhile, these prerequisites often vary from one state to another. One of the critical steps in opening a car wash business is the purchase of equipment as you may have to research carefully about the suitable equipment for the services required in your type of car wash. Pumps, brushes, dryers, compressors, towels, vacuums, blowers, etc. chemicals such as spot free rinses, wax, cleaning solutions, presoaks, etc. A water system having a water filtration unit, water heater, extractor, boilers, etc. A washing system with self-service equipment, pressure washer, mobile wash systems, conveyor, etc. Of course, you have to get all this equipment for your car wash business from a reputable distributor so that you can be assured of equipment servicing when the need arises. For the best experience, ensure you’re purchasing your equipment directly from top manufacturers or any of their local branches. Some of these equipment manufacturers are Karcher, Hannah Industries, Ryko, and Belanger. A social media presence can go a long way to attract clients for your car wash business. By establishing accounts for your car wash business on Twitter, Facebook, and other popular social networks, you can easily widen the reach of the car wash and capture dozens of clients in your neighborhood. Nowadays, an online platform such as a blog/website is needed to promote just any kind of business. Through a website/blog, you’ll find it easy to share online information about your car wash business, the rates you charge and the services you offer. Lots of potential clients from anywhere including your neighborhood are very likely to come across this information. The traditional model of advertising is still in fashion as it requires distributing flyers to potential clients, pasting posters for many to see and advertising via billboards, signboards, etc. Meanwhile, any signage you’ll be using for your car wash business should be conspicuous: it should be very easy for people including motor drivers to see.